What is an M&A Deal Structure? An M&A deal structure is a binding agreementDefinitive Purchase AgreementA Definitive Purchase Agreement (DPA) is a legal document that records the terms and conditions between two companies that enter into an agreement for a merger, acquisition, divestiture, joint venture or some form of strategic alliance. It is a mutually binding contract between parties in a merger or acquisition (M&A)Mergers Acquisitions M&A ProcessThis guide takes you through all the steps in the M&A process. Learn how mergers and acquisitions and deals are completed. In this guide, we'll outline the acquisition process from start to finish, the various types of acquirers (strategic vs. financial buys), the importance of synergies, and transaction costs outlining the rights and obligations of both parties. It states what each party of the merger or acquisition is entitled to and what each is obliged to do under the agreement. Simply put, a deal structure can be referred to as the terms and conditions of an M&A. Mergers and acquisitions involve the coming together (synergizing) of two business entities to become one for economic, social, or political or other reasons. A merger or acquisition is possible only when there is a mutual agreement between both parties, the agreed terms on which these entities are willing to come together is known as an M&A deal structure. Conditions under which negotiations may be canceled. Developing a proper M&A deal structure can be quite complicated and challenging because of the number of factors to be considered. These factors include preferred financing means, corporate control, business plan, market conditions, antitrust laws, accounting policies, etc. Despite the complicated nature of the deal structuring process, employing the right kind of financial, investment and legal advice can make the process less complicated. 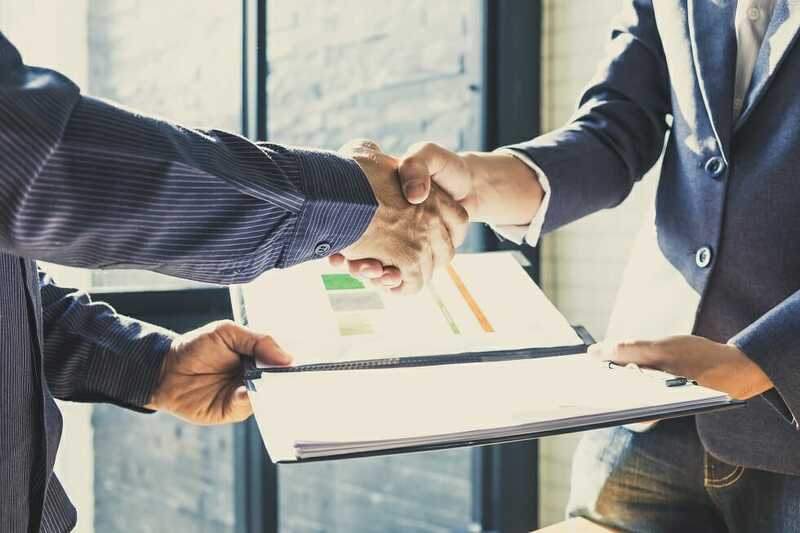 There are three well-known traditional ways of structuring a merger acquisition deal although, in recent times, business entities have engaged in other deal structuring methods on a note of creativity and flexibility. The three ways of structuring an M&A are asset acquisitionAsset AcquisitionIn an asset acquisition, the purchasing company identifies which assets and liabilities it wants to purchase, as opposed to a share acquisition where an entire company is acquired. The transaction can be far more flexible in its structure, stock purchase, and mergers; they can also be combined to achieve an even more flexible deal structure. In an asset acquisition, the buyer purchases the assets of the selling company. An asset acquisition is usually the best deal structuring means for the selling company if it prefers a cash transaction; this is because an asset acquisition normally involves a cash transaction unless an agreement is reached on some other means of payment. The buyer chooses which assets to purchase and for which to assume responsibility. Although the primary advantage of asset acquisition is that it normally involves a “cash deal,” it also comes with advantages and disadvantages for the acquiring and selling entities. The selling company is still legally recognized as a corporate entity after the sales until it winds up completely. It may also take more time than necessary to close the deal. Unlike an asset acquisition where there is a direct transaction of assets, assets are not directly transacted in a stock purchase. In a stock purchase acquisition, a major amount or the entire seller’s voting shares are acquired by the buyer. In essence, this means the ownership of the seller’s assets and liabilities are transferred to the buyer. Taxes on a stock purchase deal are minimized, especially for the seller. Closing a stock purchase deal is less time-consuming since negotiations are relatively smooth. The seller can keep the operations running even after the deal is closed. Legal or financial liabilities may accompany a stock purchase acquisition. Uncooperative shareholders may also be a problem. Though the term “merger” is commonly used interchangeably with “acquisition,” in a strict sense, a merger is the result of an agreement between two separate business entities to come together as one new entity. When a merger involves a “buyer” and a “seller,” it becomes an acquisition, and an acquisition does not necessarily lead to a new entity since the buyer still retains the right to keep the firm’s name and its other attributes. A merger is not very complicated since all liabilities, assets, etc. become that of the new entity. In structuring a deal, the advantages and disadvantages must be considered along with other influencing factors to reach a conclusion on which method to adopt. Below is a screenshot from CFI’s M&A Model Course, which has an assumptions section that includes various deal structures. An important factor to consider is to create a great deal structure; a win-win approach should be used, where the interests of both parties are well represented in the deal and risks are reduced to the barest minimum. Most often, win-win deal structures are more likely to lead to a sealed merger or acquisition deal and may even reduce the time required to complete the M&A process. There are two important documents that are used to offset the M&A deal structuring process. They are the Term Sheet and Letter of Intent (LOI). Term Sheet: A Term SheetTerm Sheet GuideThis term sheet guide will teach you all the important information you need to know about term sheets with detailed examples of all major sections and is a document stating the terms and conditions of an intended financial investment, in this case, a merger or acquisition. On a general note, a term sheet is not intended to be legally binding unless otherwise stated by the parties involved. Letter of Intent (LOI): As the name implies, a Letter of Intent (LOI)Letter of Intent (LOI)Download CFI's Letter of Intent (LOI) template. An LOI outlines the terms & agreements of a transaction before the final documents are signed. The main points that are typically included in a letter of intent include: transaction overview and structure, timeline, due diligence, confidentiality, exclusivity is a document written to convey the intentions of the writer to the receiver, in this case, in respect of an M&A. Like the term sheet, an LOI is usually not intended to be legally binding except for the binding provisions included in the document. An M&A deal structure is one of the steps in a merger or acquisition; hence it is important to create a proper deal structure through deal structuring, taking top-priority objectives of the parties involved into account. Deal structuring is the process of creating a deal structure that is suitable to the objectives of all parties involved, i.e., the buyer and the seller. There are three well-known methods of M&A deal structuring: asset acquisition, stock purchase, and merger, each with its own merits and demerits for both parties in the proposed deal. A proper deal structure will lead to a successful merger or acquisition deal.